Ras Shorty I who was born Garfield Blackman in Trinidad started singing calypso as the LORD SHORTY as early as 1963 with his tune "Cloak and Dagger" in Trinidad. He won his first title in 1970 in South Trinidad when he beat former monarchs Bomber and Black Stalin who placed second and third respectively. He was crowned King of San Fernando at that event. However he was unable to beat Calypso Monarch, The Mighty Duke at the National finals in Port of Spain that year. In the 1970's he began writing calypso songs for other young calypsonians including "MAESTRO" and his cousin "BARON" who had a hit called "SEVERE LICKING" produced by Shorty. Trinidad and Tobago has been renowned for its magnificent carnivals,calypso and in this century's only musical invention: the steel pan. A prolific musician,composer and innovator, Ras Shorty experimented with the calypso beat for nearly a decade before unleashing "the soul of calypso,"...soca music. Shorty had collaborated with Dominica's 1969 Calypso King, Lord Tokyo and two calypso lyricists, Chris Seraphine and Pat Aaron in the early 1970's on a visit to Dominica. Soon after Shorty released a song, "E-Petit" with words like "Ou dee moin ou petit Shorty" meaning "you told me you are small Shorty", a combination of Calypso,Cadence and Creole(as reported in Exile One Gordon Henderson's book, "Zoukland" 1999 edition). 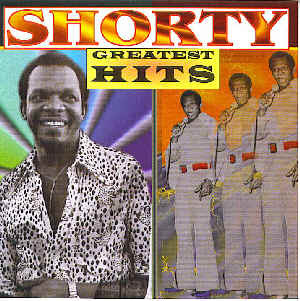 Upon the release of his first album "Sweet Music" and his next "Endless Vibrations", Shorty became more popular with young audiences who followed his revolutionary masterpieces of soca. One composition called "Om Shanti" caused such an uproar in Trinidad that it became very controversial. However, Soca, not the American soul and calypso,according to RAS SHORTY, is the depth and life of calypso,a bridging of the two major ethnic groups of T&T--the African and the East Indian. Soca is the "Indianization of calypso". Shorty described it as "SOHKA" according to King Wellington's son Vernon Quashie (he reportedly feels that his Dad was better than Shorty). (A short note-"KAISO" is really a short way of saying or pronouncing Calypso without getting breathless. There lies the difference between Soca and Calypso or "Kaiso"). 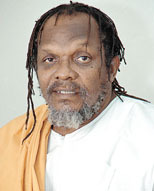 By 1984 Shorty had commanded respect and trust of other Calypsonians.Shorty who had become known as "the Love Man" in the 1970's, changed his name to Ras Shorty I after the "Money Eh No Problem " and "Om Shanti" releases.He had become disenchanted with the image and music he created, saying that soca was being used for the wrong reasons. Among his influences and those he inspired were Soca Monarchs David Rudder,Tambu, Charlie's Roots, Machel Montano and Xtatik,SuperBlue,Colin Lucas,Marvin and Nigel Lewis,Traffik, Atlantik,Anselm Douglas,Blue Ventures and a host of other soca enthusiasts around the Caribbean. Shorty became deeply religious and retreated to the back hills of Trinidad where he settled with his wife Claudette and children whom he called "The Love Circle". He released "Watch Out My Children" in 1997 after many soca followers had seen a live television footage on "CultureShare" produced by Grenadian born Gentle Benjamin. This anti-drug song that was translated into several languages became very popular in the Caribbean and North America holding on to the number one position for several weeks on the music charts. Sadly, Shorty passed away on July 12, 2000 at the age of 59. He had just released a new CD in June one year after he appeared at the Aristocrat Ballroom in Brooklyn, New York with the Love Circle.The doctors had found that Shorty was afflicted with multiple myeloma, a bone marrow cancer. Many friends including Calypso Superstar, the Mighty Sparrow, Calypsonians Bill Trotman and Penguin appeared to be grief-stricken.May he rest in peace. Shorty will be missed tremendously.